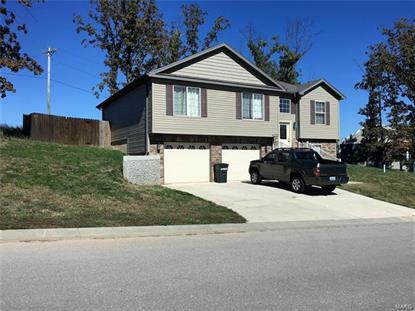 for $179,900 with 3 bedrooms and 3 full baths. This 1,330 square foot home was built in 2015. This Beautiful 3 Bedroom 3 FULL Bathroom home is located on a semi corner lot in the desirable Chapel Hills Subdivision. The main level of the home features 3 Bedrooms, 2 Bathrooms, Living, Kitchen/Dining Combo, & Laundry Room. The Kitchen features Stainless Steel Appliances, Beautiful Cabinets, & a Large Pantry. Off the Kitchen you will find your Laundry Room that offers plenty of space and an area to fold or hold your laundry. The Master Bedroom is fairly large and features tray lighting & a nice master bathroom that offers a double vanity, tiled shower with glass doors, and a large walk-in closet! Downstairs you will find an oversized Family Room with an additional full bathroom! From the Kitchen you will walk out to your patio that sits inside a nice yard with a privacy fence. This home won't last long! !